With the recent addition of the highly regarded former Delaware Superior Court Judge, Robert B. Young, Reger Rizzo & Darnall introduces its newly formed Alternative Dispute Resolution Group. This outstanding group of lawyers and former Judge, each with many years of experience on all sides and in all variations of dispute resolution, provides ADR services across the country to help conclude or advance cases and conflicts, and greatly reduce both the financial and the emotional strain of disputes. Reger Rizzo & Darnall's ADR Group is comprised of proficient and experienced litigators, transactional lawyers and triers of disputes who have practiced from a variety of standpoints, including plaintiff, defendant, Judge, mediator and arbitrator. Our ADR Group has extensive experience in a wide range of issues, including claims relating to commercial and business disputes, franchise matters, catastrophic situations, property damage, medical malpractice, licensing, employment, shareholder, partnership, corporate law, insurance coverage, intellectual property and professional negligence disputes, among others. Our ADR Group members are problem solvers. Our main office in Center City Philadelphia, Pennsylvania has the facilities needed to accommodate small to large matters, including conference and break-out rooms for multiple party matters, state-of-the-art audiovisual and telephone conferencing capabilities, and is easily accessible by car, air or train. We are conveniently located in the Cira Centre, just steps from the Amtrak and SEPTA train stations, minutes from the Philadelphia International Airport (with the airport train line at our doorstep), and by car (with our office right off the main highway to/from the city). Our other offices in West Chester, Pennsylvania; Wilmington, Dover and Rehoboth Beach, Delaware; and Mt. Laurel, New Jersey also provide convenient locations throughout the Mid-Atlantic Region. Additionally, each member of the Group is available to travel, as the Firm has strong, professional national affiliations for conference room availability. Below you will find additional information on each of the Firm's primary ADR Group members. Should you have any questions regarding the services our Group is able to provide, or if you would like to speak to one of our ADR Group members directly, please contact us via the phone and/or email addresses below. The Hon. Robert B. Young (Ret.) - Based in the Firm's Dover, Delaware office, Judge Young is a recently retired Judge of the Delaware Superior Court. His 12-year term followed his more than 35 year career as a trial litigator in Ohio and Delaware. In addition to trying more than 100 cases to jury verdict as a practicing lawyer and over 200 as a Judge, Judge Young moderated and arbitrated well over 1,000 cases while in practice, as a litigant, mediator or binding and non-binding arbitrator involving construction, negligence or contract disputes. His "feel" for the evaluation of the parties and circumstances culminating in jury verdicts is exceptional. Judge Young is admitted to practice Delaware and Ohio, and can be reached via phone at 302.257.4875 or email at ryoung@regerlaw.com. 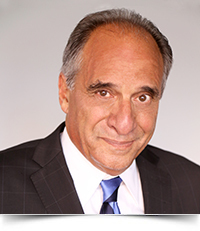 Dennis D. Ferri - Based in the Firm's Wilmington, Delaware office, Denny Ferri has been an active trial lawyer for more than 43 years. During that time, he has tried to conclusion nearly 100 cases in Delaware's State and Federal Courts, obtaining excellent results for his clients. Denny has earned the respect of lawyers and Judges for his trial skills, as well as his professionalism. His areas of practice include general liability, personal injury (plaintiff and defense), product liability and professional liability - primarily medical negligence. He has practiced in both small and large law firm settings. Most recently, he was a partner at Morris James LLP and devoted the majority of his time to medical malpractice litigation. Denny has a substantial understanding of medicine and has been involved with most of the medical providers in Delaware. He has a keen insight into the intricacies and strategies involved with evaluating and resolving medical claims. Denny is a certified Delaware Superior Court mediator, and is admitted to practice in Pennsylvania, Delaware, and Maryland. He can be reached via phone at 302.477.7113 or email at dferri@regerlaw.com. 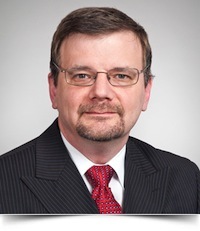 Steven Kapustin - Based in the Firm's Philadelphia, Pennsylvania office, Steve Kapustin has more than 40 years of experience as a neutral arbitrator, mostly as Chair in American Arbitration proceedings, Court Ordered Arbitration, and private arbitrations. 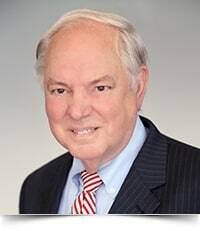 His experience includes rulings on numerous professional separations (physicians, accountants, lawyers), and franchise, shareholder and partnership disputes, with extensive experience concerning information disclosure issues and financial evaluations. He has been an advocate for both claimants and respondents in commercial and securities proceedings and has extensive commercial mediation experience, both privately and as a Judge Pro Tem with the Philadelphia Court of Common Pleas. Steve is a member of the Pennsylvania, North Carolina, and South Carolina bars, and has been certified as a South Carolina State mediator, receiving 40 hours of mediation training. He can be reached via phone at 215.495.6534 or email at skapustin@regerlaw.com. Harris J. Chernow - Sharing his time between the Firm's Philadelphia, Pennsylvania and Mt. 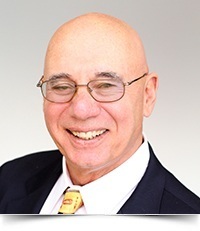 Laurel, New Jersey offices, Harris Chernow has built a national franchise and distribution practice where he represents both franchisors and franchisees, in addition to his general business/corporate practice. Because of his reputation within the legal community, his sense of being fair-minded and his unique focus on both sides of the franchise relationship, Harris is frequently sought out to serve as a mediator for disputes relating to a wide range of matters in the franchise industry, as well as disputes which relate to or concern franchise-related matters, including complex business matters, shareholder, employment, real estate, trade secret, vendor, group and class-action disputes. He has served as a mediator, a party-appointed arbitrator, a court-appointed arbitrator and an arbitrator-appointed arbitrator. Harris can be reached via phone at 215.495.6532 or email at hchernow@regerlaw.com. Robert J. Foster - Based in the Firm's Philadelphia Office, Rob Foster has extensive experience handling complex litigation matters ranging from personal injury to commercial litigation, representing both Plaintiffs and Defendants in a wide variety of matters. 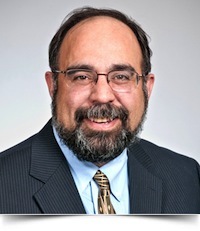 Rob currently serves as Judge Pro Tem with the Philadelphia Court of Common Pleas and has been serving as an arbitrator for over twenty years. He has also served as a Special Master at the request of the Court. Rob is a recognized author and speaker on complex legal issues including indemnification agreements, insurance, bad faith, the Fair Share Act, ADR/Mediation and annually hosts a judicial forum on civil litigation practice. Rob is an adjunct professor at Temple University where he has twice been recognized for excellence in teaching. Rob applies a neutral view towards any assignment, drawing on his diverse experiences on both sides of civil litigation. His extensive background and exceptional ability to comprehend and break down new and complex legal issues are invaluable assets in these endeavors. Rob can be reached via phone at 215.495.6514 or email at rfoster@regerlaw.com. 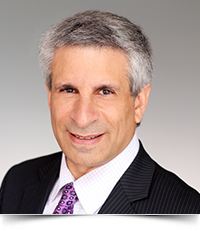 Steven G. Leventhal - Based in the Firm's Philadelphia Office, Steve Leventhal boasts extensive experience in the areas of insurance defense and commercial litigation. Steve is one of the Firm's more seasoned litigators with successful trial practice in fire subrogation, auto, uninsured and underinsured motorist, products liability, premises liability, physical security contracts and the defense of class action law suits. He is often called upon to arbitrate first party insurance claims and has been sitting as a neutral arbitrator for the last two decades in the Philadelphia Court of Common Pleas. For the past ten (10) years Steve has been teaching a master's degree level course in practical business law as an adjunct professor at Temple University's School of Hospitality & Tourism. He has also toured the state lecturing to bar associations on the topic of the "Magic of Advocacy." Steve can be reached via phone at 215.495.6501 or email at sleventhal@regerlaw.com.